A Family-run Business for Four Generations. Ray Nocella of Nocella Roofing is one of those personalities you just have to love, and it doesn’t hurt that his team of roofers does a wonderful job as well. Nocella Roofing is a distinctive business and as such needed a distinctive, yet effective, design. 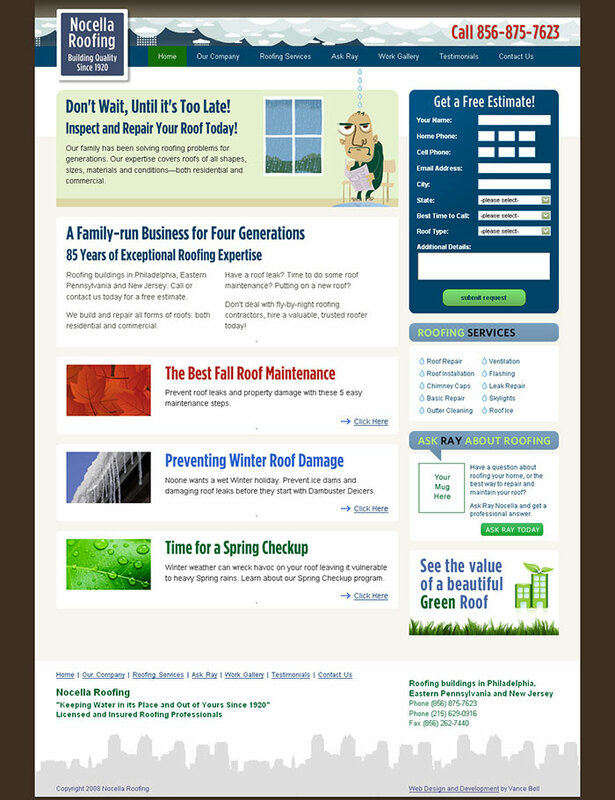 Our solution combined a bit of personal character with an emphasis on lead generation. The site continues to provide exceptional ROI, generating new business leads well in excess of the original cost on the project year over year.